Lisa Owen grew up an hour from Brisbane and was raised on a hearty diet of tree-climbing and bushwalking. She’s a We Are Explorers Explorer Of The Month, which means she’s a well-established weekend warrior; but even Lisa started somewhere. Let her guide you through the best beginner hikes near Brisbane. South East Queensland is an outdoor lover’s paradise. 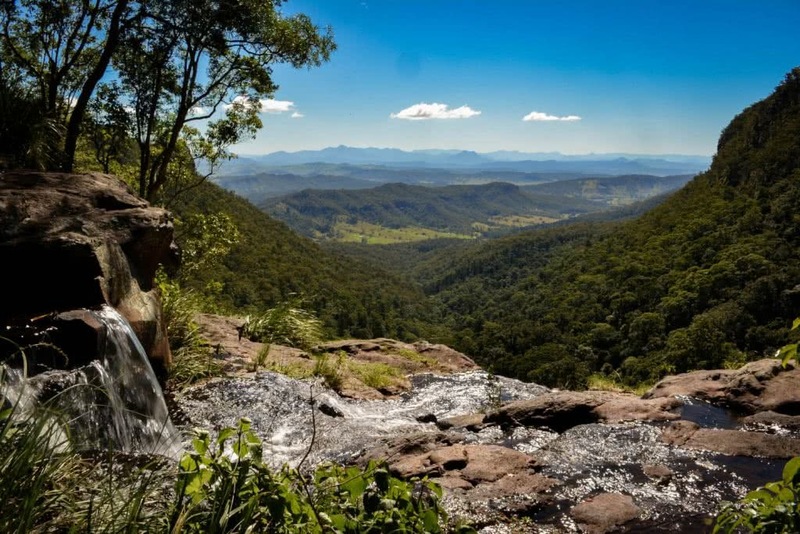 From waterfalls, to rocky waterholes, to mountain and valley views, there’s dozens of scenic hiking trails on offer only a couple of hours from Brisbane. So grab your walking shoes, hop in the car, and check out my top five beginner hikes near Brisbane. Not far past Toowoomba lies Crows Nest National Park. It’s a bit of a drive at three hours from Brisbane, but you can make a day out of the road trip. 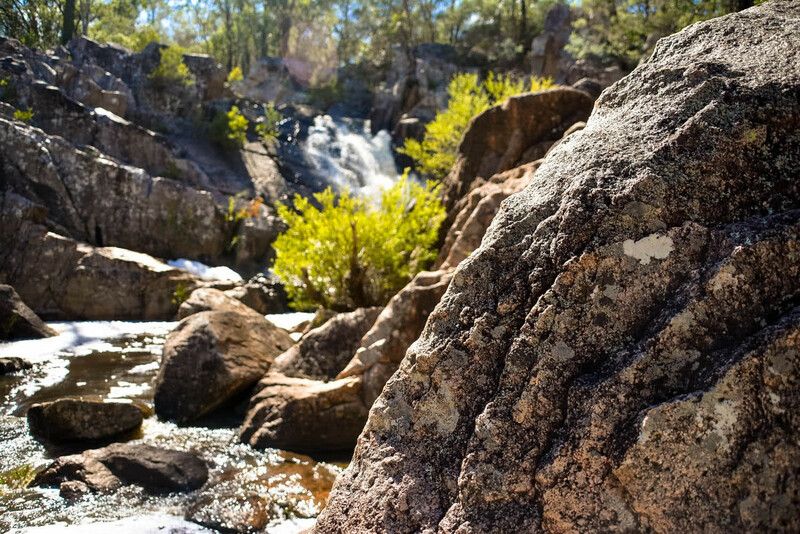 Start by doing the 5km round trip hike to the Valley of Diamonds Lookout via waterholes and Crows Nest Falls, then go for a swim in the waterholes if the water’s flowing well, and enjoy a picnic at the national park’s picnic tables. The 5km trail is an easy walk and will take less than two hours. If you want to make a weekend out of your trip west, you can camp at Crow’s Nest National Park, then drive up to the Bunya Mountains. Check out the 10km return Barker Creek Circuit or 4km return Scenic Circuit, both starting from Dandabah picnic area. The Green Mountains section of Lamington National Park is a waterfall lover’s dream, with many trails on offer to cater for all hiking levels. The hike to the top of the beautiful Morans Falls is perfect for beginners and can be reached on a 3.1km (one way) walk. It’s a popular spot for sunset so bring your camera and get there early to nab a good spot. 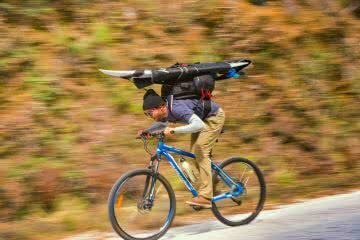 Allow about 2-3 hours for the round-trip hike. The Green Mountains section is located about a two hour drive from Brisbane via Canungra. Springbrook National Park is another top spot to go chasing waterfalls. You are sure to be in awe of the 109 metre Purling Brook Falls. 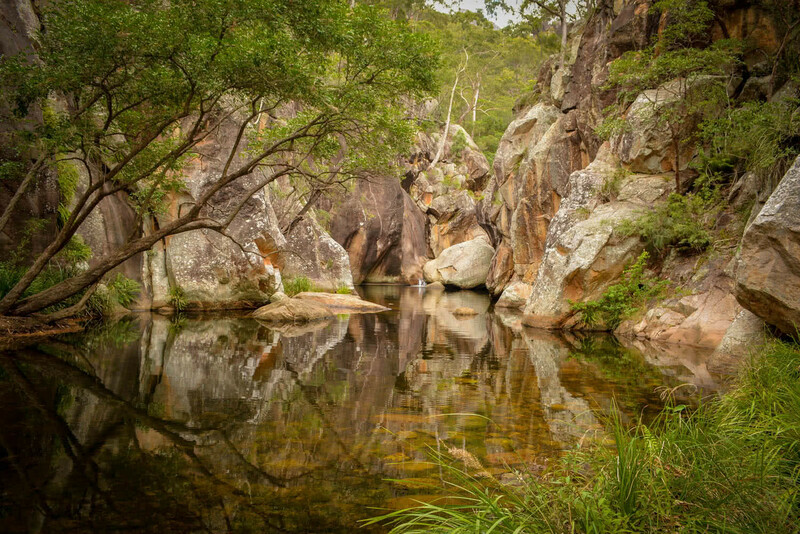 You can walk down to the base of Purling Brook Falls, then continue on to the picturesque Warringa Pool both of which are great for a dip. 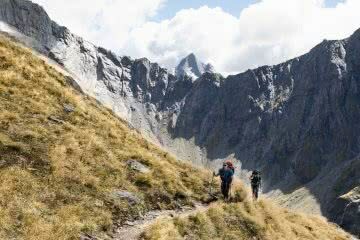 The return hike is 4km and will take about two hours. 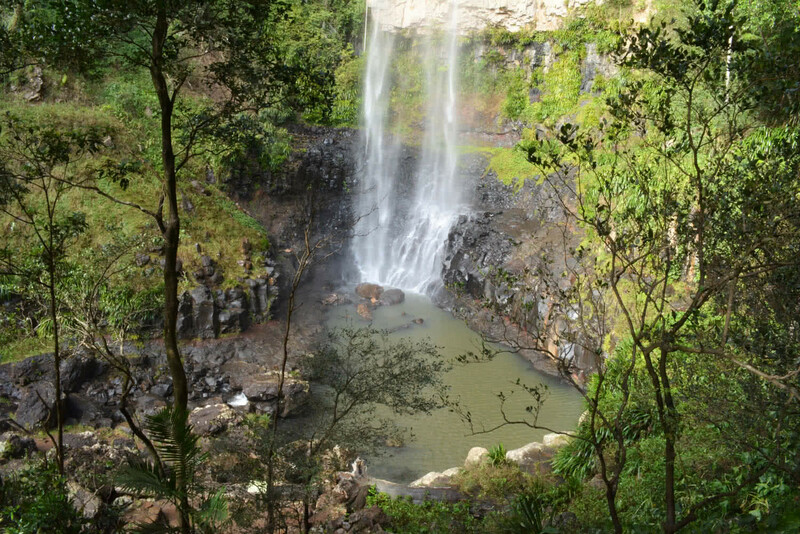 While you’re in Springbrook National Park, the hike to Twin Falls is also worth a look for beginner hikers. The Twin Falls circuit is 4km and is accessible from the Tallanbanna Picnic Area. It will take about two hours to complete. Springbrook National Park can be accessed via Nerang from Brisbane. Take Exit 69 off the Pacific Motorway and follow Nerang-Murwillumbah Road and then take the left turn onto Pine Creek Road and follow the signs to Springbrook. Fancy a dip in a waterhole? I found the perfect spot. The Lower Portals is a 7.4km kilometre hike located at the base of one of south east Queensland’s most impressive mountains, Mt Barney. The rugged red dirt path takes you past creek crossings and to the boulder filled Lower Portals. Plan around four hours for the return trip. If you handled the Lower Portals hike okay, then come back another weekend and visit the Cronan Creek Secret Falls, also in Mt Barney National Park. This waterfall is nestled among dense rainforest at the end of a boulder strewn creek perfect for rock hopping loving adventurers. The trailhead starts at Yellow Pinch Reserve car park. From the carpark, the Cronan Creek track winds along the foothills of Mt Barney. After a few kilometres, you’ll come to a junction. The right fork takes you up the South Ridge of Mt Barney. Take the left fork to continue to the waterfall. Not far after crossing your third major creek crossing, dense rainforest starts on your left and you’ll probably get a glimpse of the waterfall. To reach the base of the waterfall, look for a rock cairn and you’ll need to bush bash down about 100 metres. Take care here due to the often slippery terrain. The hike is 13km return and will take about five hours. 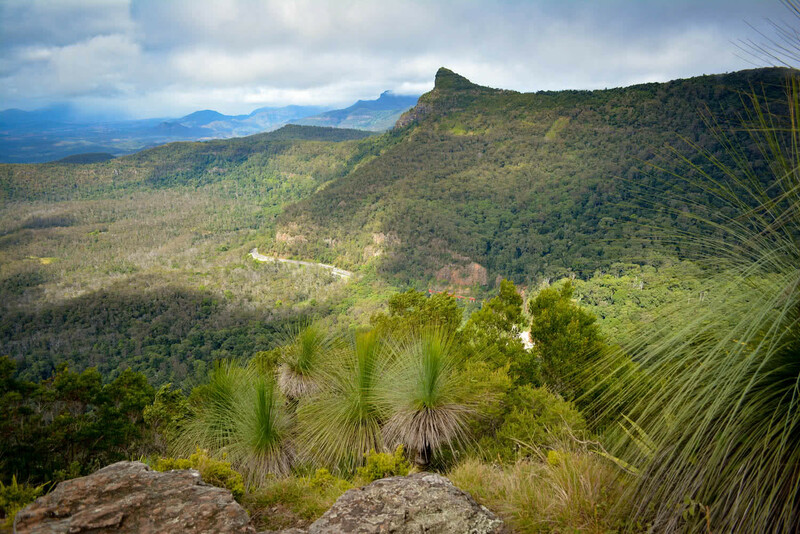 Mt Barney is located about two hours from Brisbane, via Rathdowney. This one is harder than the rest, but the well maintained track means it’s a great place for beginner hikers to test their mountain legs after doing the other hikes on the list. The 1,135 metre Mt Cordeaux is located in Main Range National Park at Cunningham’s Gap. The 6.8km return hike takes you up to stunning views over Cunningham’s Gap and the Fassifern Valley. Mt Cordeaux carpark is located off the Cunningham Highway. Make sure you tell someone where you’re going and what time you expect to be back. We highly recommended you bring a hiking buddy along with you. 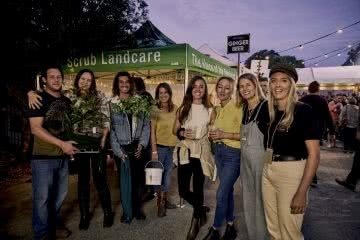 Try the We Are Explorers Facebook Group for Queensland to find like minded people who might be up for an adventure. Also, be sure to check out the Wilderness Navigation Courses on our Wilderness Escapes page to give you the confidence and skills you need to hike safely. 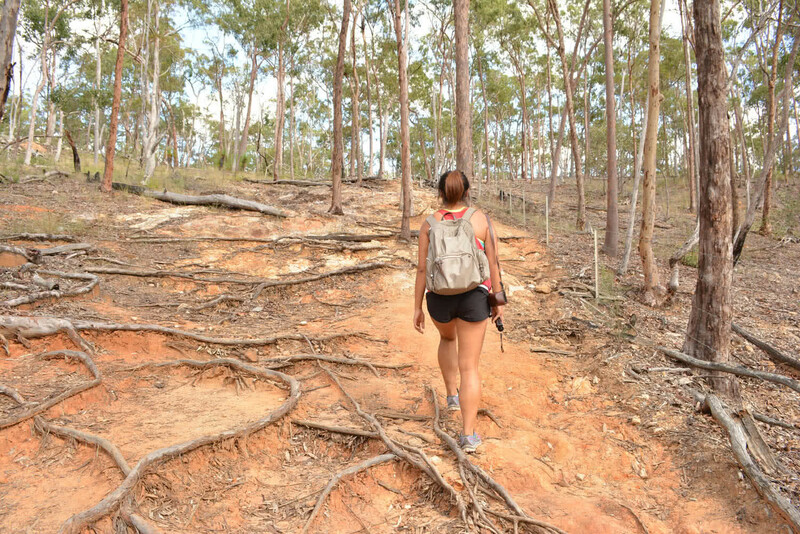 The best time to go hiking in South-East Queensland is between May and September when the weather is cooler and there’s fewer snakes around. If you want to make a weekend out of our ‘Top 5 Beginner Hikes Near Brisbane’ list, camping is possible at some national parks including parts of Crows Nest National Park, Mt Barney National Park and Lamington National Park. Head to the Queensland National Parks website for more information.